February 10, 2014: Delhi is completely absorbed by two elections – December’s surprise win at the state level by the upstart Aam Aadmi Party, and the national polls due in April. Congress is down; the BJP is up; the Aam Aadmi (“Common Man”) Party is a potential national wild card. 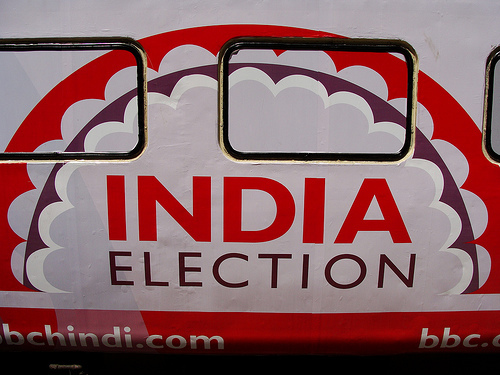 Most observers expect a BJP-led coalition headed by Narendra Modi to form the next government, but some forecasts anticipate a coalition of regional parties, probably with Congress support but not participation. What this means for policy is not altogether clear. A Modi government would surely emphasize economic growth and an assertive foreign policy, but the specifics would depend in part on the scale of their victory. A “third force” coalition would in all likelihood be quite inward-looking. Congress is down: In the past two years, the Indian National Congress seems to have steadily lost altitude. A series of scandals, a dual-power arrangement involving Prime Minister Manmohan Singh and party president Sonia Gandhi that is increasingly awkward and ineffective, and the unpredictable actions of her son Rahul have made this proud party look erratic, inept, and unable to get its act together. Coupled with the phenomenon familiar from other democratic countries that governments tend to get into bad habits after a long time in office, this disarray contributed greatly to the Congress’s disastrous showing in the Delhi state elections. Despite having one of the most popular and effective Chief Ministers in the country, Congress was held to only 8 seats in a legislative assembly of 67. Yet another blow came on January 31. Rahul Gandhi, widely regarded as the party’s prime ministerial candidate (though the party decided not to make a formal designation, in the vain hope of de-personalizing the national contest), gave a two hour interview to a journalist noted for his hard-as-nails style. Widely touted as the launch (or relaunch) of Gandhi’s campaign, it was almost universally assessed as a disaster. The three points Gandhi had decided to emphasize came across as sophomoric and wooden; his manner was detached; he had none of the lively, folksy details from the daily lives of ordinary people that create a connection with voters. And his advisers had clearly made a mistake in programming him for two full hours – an interviewer’s dream, and an interviewee’s nightmare. All this served to highlight the basic problem: people in Delhi and elsewhere seem desperate for change, and so far at least, Congress’s chances of a victory in the upcoming national polls appear slim. BJP is up: Across the political aisle is the most crowd-pleasing politician on the Indian scene today, Gujarat Chief Minister Narendra Modi. He personalized the election months ago by winning the BJP’s formal endorsement as the party’s candidate for prime minister. He has been traveling the length and breadth of the country, attracting enormous rallies, and presenting a picture of vigor and focus to go with his well established reputation as the chief minister who presided over an economic boom in his state and wants to do the same for the country. Modi was already a favorite in Indian corporate circles, and the party’s traditional stronghold among urban traders is still solid. He has clearly gained substantial support outside these categories. This is the most “presidential” election in India’s history. Modi comes with baggage. Legally, he has been cleared in every court case undertaken thus far on the devastating communal riots in his state a decade ago, but the memory is still there, and still frightening to many. His reputation as a hard-driving leader who will brook no back talk from his staff and demands unquestioning fealty attracts those who believe he can move India forward, but also sparks fears of a dictatorial governing style. The BJP has little presence in southern India. Modi’s campaign, perhaps as a result, has begun consciously cultivating more of an “all-India image,” stressing the support he has been able to garner from some Muslims in Gujarat, and emphasizing his intention to offer special “affirmative action” type benefits based on economic hardship rather than caste. No one expects any political party to win an outright majority in the coming elections; the next government, like its predecessors over the past quarter century, will be a coalition. By the normal reckoning, this should present an additional problem for Modi, whose tough style may be hard for potential coalition partners to swallow. Some traditional BJP allies have declined to join with Modi in advance of the polls. Others whose territory includes a significant Muslim population are concerned about Modi’s impact on their own prospects. A strong showing might lead the doubters to overcome their scruples, however. What policy outlook if BJP wins? The BJP has campaigned more on attitude and on anti-incumbent sentiment than on policy. Modi himself has stressed that his foreign policy would be built on economic success, but there is no clear consensus among political and economic observers about what this would mean for national economic policy. He has long been enthusiastic about building up infrastructure and pushing for vigorous project implementation, so these would probably be part of the package. He does not appear drawn to policy debates in the abstract, however. He is considered business friendly, but has kept his distance from policies that would harm his urban trading supporters, such as foreign investment in multi-brand retail. Beyond this economic focus, there seems to be a tendency among Modi supporters to predict, Rashomon-like, whatever policies a particular observer hopes to see. Some hope for an assertive move toward the party’s Hindu nationalist ideology, perhaps repealing the constitutional provisions that give a special status to Jammu and Kashmir and dialing back some of the special protections for Muslims. Others think he might push for a year of national service for young people. Such measures, however, would probably require a clear BJP majority or close to it – a stronger electoral showing than any party has achieved in thirty years. Other supporters argue that Modi will continue the more “all-India” thrust that he has brought into his campaign, and will avoid actions that are seen as aimed against minorities. Modi’s one foreign policy speech cited Vajpayee as a model of balancing strength and restraint, leading some of his supporters to argue that he might take a “Nixon to China” approach to Pakistan. Alternative scenarios: a “third force” or a spoiler: The BJP at this point in the campaign has momentum, but does not have a lock on victory. If it wins only a narrow plurality, Modi’s coalition-building difficulties could leave the door open for a combination of the stronger regional parties, including such leaders as West Bengal’s fiery Mamata Banerjee, Bihar’s Nitish Kumar, and Odisha’s Naveen Patnaik. This would represent, in all likelihood, a fractious government, dependent for support on a disgruntled Congress, and uncertain of its own longevity. In the past, such governments have had great difficulty making decisions, have been very inward-looking, and have not lasted long. There is another wild card: the Aam Aadmi Party, which grew out of a loose anti-corruption movement to win nearly half the seats and head the state government in Delhi in December, in its first electoral effort. It did well in middle class and high income neighborhoods as well as in some working class areas. It seems to have garnered many votes among upper level bureaucrats and with young voters. Its first few weeks were dramatic. The new chief minister, a former tax official named Arvind Kejriwal, staged a sit-in against his own administration, demanding that police officers be disciplined for their misdeeds. He announced a 50 percent reduction in electricity rates for those using very modest amounts per month, setting off a dramatic standoff with the electric distribution companies. This left the party’s better off supporters incensed at the government’s lawlessness and inability to “get its act together.” One of its coalition partners has now left the state government, leaving its future uncertain. The supporters in lower income neighborhoods, on the other hand, may love the “in your face” style. For the national election, the question is whether Aam Aadmi can reach beyond Delhi, or into India’s vote-heavy rural areas. It has announced plans to put up candidates for 360 of the country’s 574 parliamentary seats. The movement has some showing in other cities, and seems to be trying to establish a foothold in Haryana, starting with the Delhi suburbs. The most it can hope for is a role as spoiler in this election. But even that possibility has already shaken up Indian politics. An Aam Aadmi showing as small as 10-20 seats could complicate coalition formation and add an explosive factor to the Indian parliamentary scene. A pivotal election? The national election is still nearly three months away. But searching questions are already being asked about whether it shifts the normal guideposts for Indian politics. The first question is the future of Congress. The party has had little internal democracy and consequently little ability to groom vigorous new leaders since Indira Gandhi’s day. Rahul Gandhi’s efforts to revamp party procedures – he has tried to institute party primaries, for example – are an attempt to correct this; how effective they are remains to be seen. Congress has survived devastating defeats in the past, notably in the election that removed Indira Gandhi after her experiment with dictatorship during the 1975-77 Emergency. Family parties in South Asia have had great difficulty becoming more institutional parties, so one more blow, if it occurs, might not be sufficient to shake the family’s hold on Congress. But this issue bears watching. The second big question is whether the Aam Aadmi party has dramatically lowered the bar for entry into national politics. This in turn is tied to the question whether Aam Aadmi can establish itself outside India’s cities. India is urbanizing, however; some states (such as Tamil Nadu) already have an urban majority. And while migrants to the cities may retain their old political and social attachments for a time, this does not last forever. 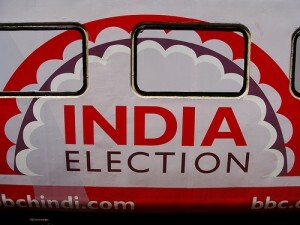 A party with an appeal across India’s large and medium sized cities would surely change Indian politics. Aam Aadmi may be the agent of change – or may be a flash in the pan. But the idea of urban mobilization could be a powerful one even if Aam Aadmi fizzles. A great sweeping review, the kind I was longing for.! I voted in the first Indian election – the official in charge in Indore insisted that I was eligible (I paid taxes, was teacher in Christian college where his daughters were students, and I was known as a most respectable admirer of Mr. Nehru – so why shouldn’t I vote. And I did. What a long way India has come! It would have been impossible then to imagine the scenario you presented in your very insightful report. So much better than anything else I huave seen. Would agree with the broad thrust of Tezi’s thesis–Congress definitely out of the reckoning, BJP likely to get most seats, but well short of a majority, and a hodgepodge of regional and state parties making up the rest. I have serious doubts about the showing of the Aam Admi Party. They have quickly revealed their inability to govern, and have become something of an embarrassment to Great Indian Middle Class–the result, I suspect, of converting a movement into a party much too soon. Post-election scene seems likely to be BJP supported by like-minded regional parties eg. Shiv Sena and elements of the ‘third force’ who are untroubled by principles and would go for the cash.Not a pretty picture, but likely to materialise. Interesting analysis from an avid India-watcher. BJP’s victory in the States where the strong regional Party leaders who have earned a space for themselves have led their Party to victory, by providing credible governance and losing in an urbanized State like Delhi where Shri Modi claims to have addressed the ‘best-attended rally ever in the national capital’s history’ in the run-up to what some mistakenly called the ‘semifinal’, could also be interpreted to mean that the ‘Modi factor’ is a mirage the corporate media is creating for its own reasons. Where there was an alternative to the Congress and the BJP, the people grabbed it. This by no means suggest that the AAP style will be replicated elsewhere. The fact that outside these three States, except in Gujarat, Mr Modi did not receive much recognition in the past and that the hold of the regional leaders remains by and large intact, could suggest that it is too early to draw inferences from. Therefore, I feel that the Cardinal elected Pope before the Conclave could well return with his original position intact, after the conclave !